that's a perfect addition for the warmer days ahead! 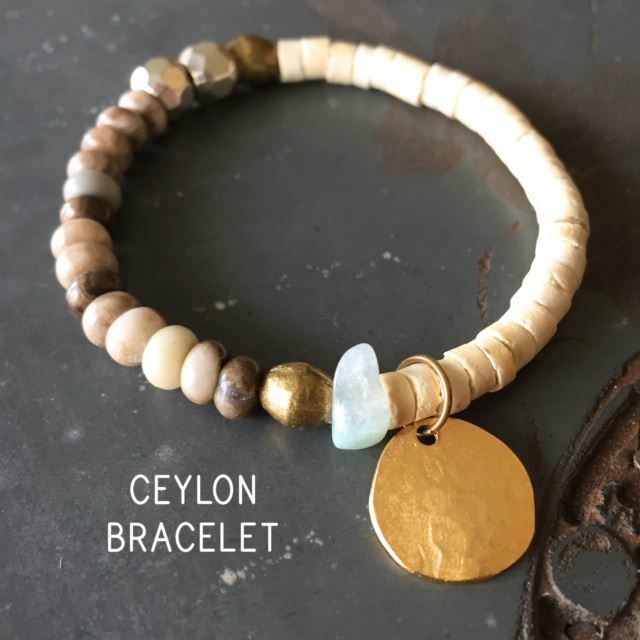 The amazing Anne Potter (www.handmadebyannepotter.com) will show us how to make this stretch bohemian-style bracelet featuring jasper and coconut beads with a gold disk charm. Choose your own accent beads for a perfectly custom piece. We'll have a selection of drinks (can you say sangria?) and appetizers to enjoy as well. We have a limited amount of space, so please register early.